So I did something very shameful and very hard for myself to admit. I gave into the hype of a product. Ever the skeptic with a "yeah right" attitude to products that offer "flawless skin" "crazy hair growth" or "super fast weight loss" ESPECIALLY when products are heavily endorsed by celebraties it's a big fat no from me. BUT with this product I'd watched for a while and read up about. 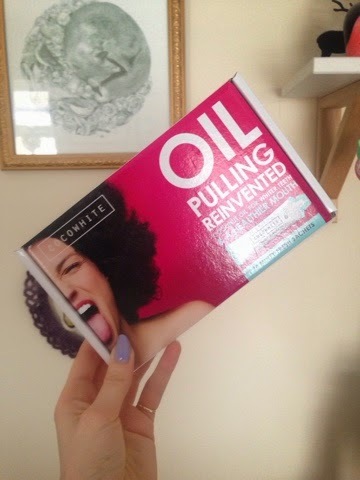 The reviews seemed to boast quick results and your mouth feeling gorgeously clean I took the plunge and thought Id give it a short. 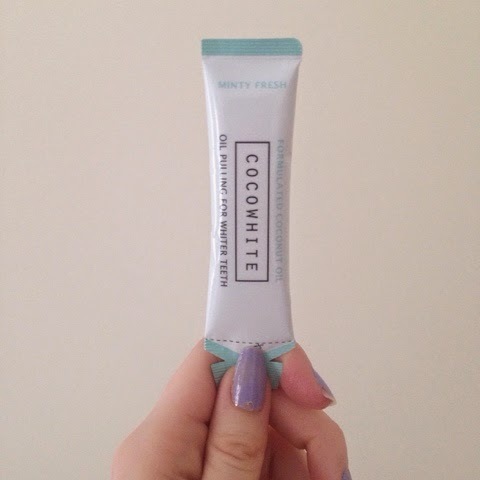 At first squeezing the contents of the cocowhite sachet into my mouth felt really alien and I had to fight the urge and stop myself gipping. It kind of felt like swiling vasaline around my mouth. Grim. After swiling for 15 [which is surprisingly hard] my mouth didn't feel lovely and fresh, more greasy and strange. Now I don't drink coffee [ew] hardly have fizzy drinks, I don't really eat/drink things that would usually strain people's teeth so my teeth to start are relatively stain free. I have been using this stuff for nearly 2 weeks now and I haven't seen any difference. I feel like I'm spitting away £20 for nada. I guess if I'm waiting Hollywood style pearly whites I'll have to spend a little more then £20 a month to achieve the results I want. Shame as I was excited to try out this product. Verdict; don't waste your cash pals on a hyped up mouthwash.